The present volume is an adaptation of a series of lectures on numerical mathematics which the author has been giving to students of mathematics at the Novosibirsk State University during the span of several years. 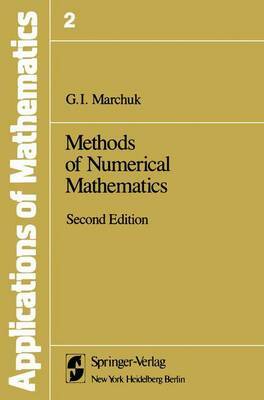 In dealing with problems of applied and numerical mathematics the author sought to focus his attention on those complicated problems of mathe- matical physics which, in the course of their solution, can be reduced to simpler and theoretically better developed problems allowing effective algorithmic realization on modern computers. It is usually these kinds of problems that a young practicing scientist runs into after finishing his university studies. Therefore this book is pri- marily intended for the benefit of those encountering truly complicated problems of mathematical physics for the first time, who may seek help regarding rational approaches to their solution. In writing this book the author has also tried to take into account the needs of scientists and engineers who already have a solid background in practical problems but who lack a systematic knowledge in areas of numerical mathematics and its more general theoretical framework.